Twyford Bathrooms will return to Ideal Home Show (Earls Court, London) from 15th March to 1st April 2013. In line with its long-standing ‘For Life’ ethos, Twyford will showcase its brand new all collection at this year’s show. Constituting the next step in truly ‘all-inclusive’ design, the aptly named All range offers a perfect solution to the challenge of today’s increasingly large, mixed-generation homes by, quite simply, offering something for every conceivable requirement. To complement this pioneering innovation, Twyford Bathrooms will also showcase some of its latest collections, from the ground-breaking Rimfree® toilets to the super stylish Galerie Plan and 3D suites. Comprising seven contemporary style bathroom sets, the Twyford stand will exhibit the company’s latest sanitaryware, furniture, brassware, baths and shower enclosures and trays, in a variety of styles and designs. Taking centre stage on the stand, all takes multi-functionality in bathroom design to a whole new level. Amid a backdrop of an increasing number of multi-generation households, all has been designed to meet the challenging demands of the modern family unit. Cleverly combining fashion and functionality, All is the complete option for everyone, designed to not only be easier and more convenient to use for all members of a household – including the very young, the old, infirm, and less able, but also to look superb in any contemporary bathroom setting. All includes a cleverly designed bath (top right) complete with a large radius, arm rest and ledge and increased reclined back support, making for a more comfortable bathing experience, while aiding ease of getting in and out. 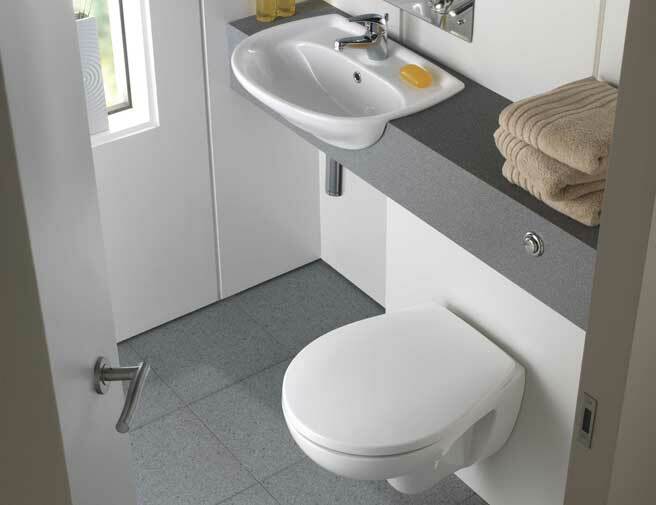 Further items in the range include a toilet, basin (above left) and furniture unit, along with a raft of bath accessories including grips, grab rails, a head rest and a flat waste cover for added comfort and protection. In addition to All, a selection of Twyford’s most recent launches such as the Rimfree® toilets (Galerie wall-hung and 3D wall-hung) as well as the Galerie Plan and 3D suites will also be on display at the show. Galerie Optimise provides a complete and flexible space saving solution. It makes the most of small bathrooms with its compact wall hung toilet, short projection washbasin and offset shower baths. Not only does Galerie Optimise offer space saving ideas but it also ensures quick and simple installation thanks to Twyford Bathrooms unique Total Install® system. The comprehensive Galerie Optimise collection is the perfect choice for those with a limited amount of space, and, as part of the esteemed ‘Galerie’ collection, will add style and flair to any bathroom. The range is so innovative that it won The Best Bathroom Design Award at the 2005 UK National Home Awards. 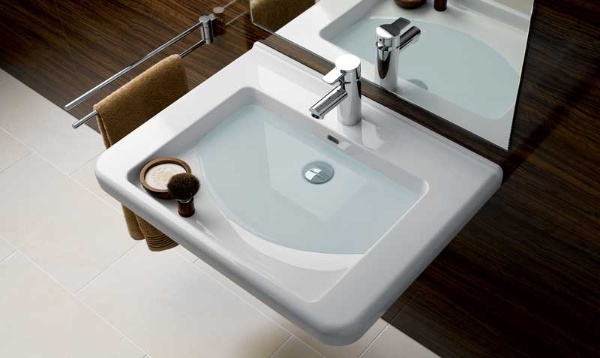 Galerie Optimise co-ordinates with the extensive Galerie Collection of ceramic and bathroom vanity units, including the geometric shapes of Galerie Plan and the pioneering environmentally friendly, Galerie and Galerie Plan water saving Flushwise® toilets.